An Navajo Native American Indian crafted Squash Blossom bracelet by L. Curley. 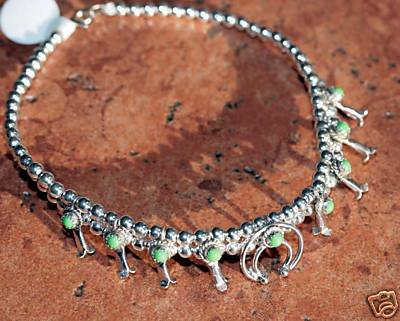 It is made from sterling silver and gaspeite. It is about 8" around and widest point is 5/8".